Come make yourself a cool notebook for writing, sketching, making notes or whatever else. In addition to the workshop you can also take part in museum tour, during which we introduce you printing and papermaking history, technology and art. 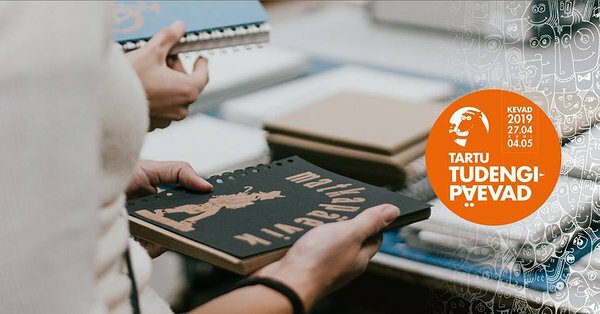 In the workshop you can design your own notebook: pick the paper, size and cover design. Cover design can be either printed by yourself or chosen from some of the already existing ones. Those who participate in the notebook workshop can join the tour for free, others must buy our regular tour ticket priced 2 € / 5 €. The event is part of the Tartu Student Days: Spring 2019 festival. For more information go to www.studentdays.ee.